As a newborn photographer, you should be constantly looking for ways to increase business and tie past clients in. After all, it’s easier to keep a current client than finding a new one. One way of doing this is to offer parents a baby’s second-year milestone package. Below we have included a few milestone ideas that you might like to offer parents. One of the most thrilling things that happen in a baby’s second year is their first steps. I know in our previous baby milestone post we mentioned walking, but these first steps are normally unassisted, if not still a little wobbly. 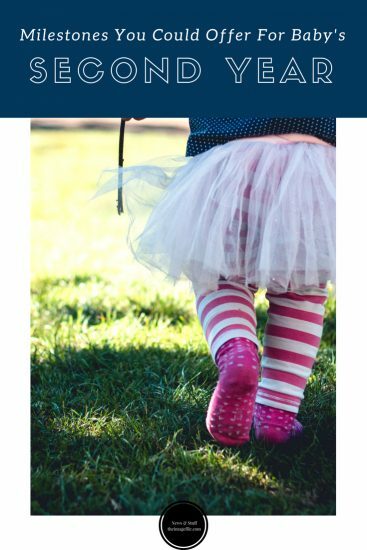 On average, most toddlers start walking aged about 14 months so make sure to keep a note when any of your past baby clients might be hitting this milestone. Following on from baby’s first steps, this is also the year of running around. The question is, can you keep up long enough to capture it? As a toddler babies really start to explore the idea of going higher. This might mean climbing the stairs, climbing furniture and in some cases out of their crib. This is a really fun milestone to capture for parents as it’s such a “go, go, go” time. Toddlers discover a little more coordination in their second year and you will probably find them kicking a ball and throwing toys. They especially love bouncy things at this age. Why not capture their playful spirit for parents to cherish? During their second year, toddlers get more control over their hands and fingers and therefore produce some lovely early doodles. Although it might be hard to tell what exactly is in the picture they will be priceless to parents and a lovely memento of this precious time is a photo shoot. A child’s imagination really starts coming to life at this age. Between 18 and 24 months a toddler’s brain is ready to start playing make-believe. You could capture a toddler talking into a toy phone, cooking for Mummy or feeding a teddy bear. This special sense of magic is a wonderful time for a photo shoot.